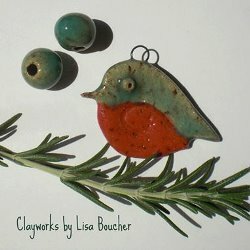 Lisa creates ornaments, jewelry,and beading components for jewelry designers. Her pieces are handcrafted from kiln fired clay and hand painted with her original detailed designs inspired by the natural beauty of New Hampshire. The largest selection of her clay creations can be purchased online in her Clayworksnh Etsy shop. 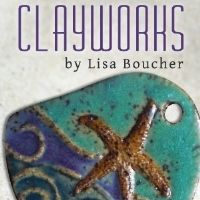 Become a fan of the Clayworks by Lisa Boucher Facebook page to find out the latest, and receive discounts in Lisa's Clayworksnh Etsy shop!